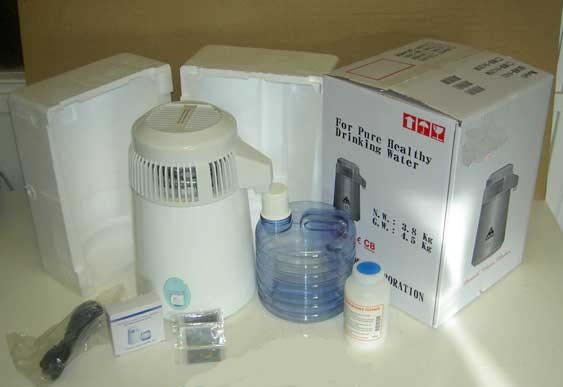 The water distiller is supplied complete with a cleaning agent that easily removes deposits in the boiling vessel, as well as a pack of 6 activated charcoal filters. These last for about one year. Many do not use them. 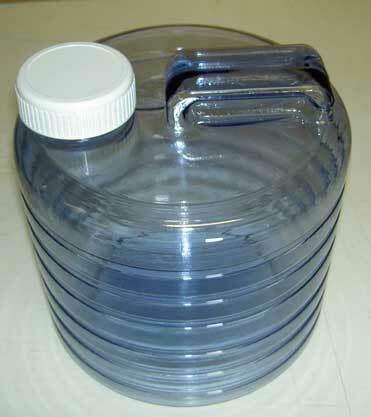 The collecting vessel is made of polycarbonate, a strong plastic especially suitable for water. 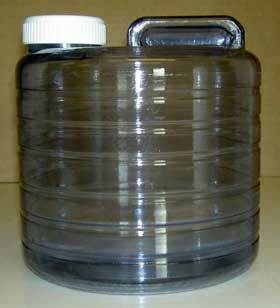 The collecting vessel for distilled water. 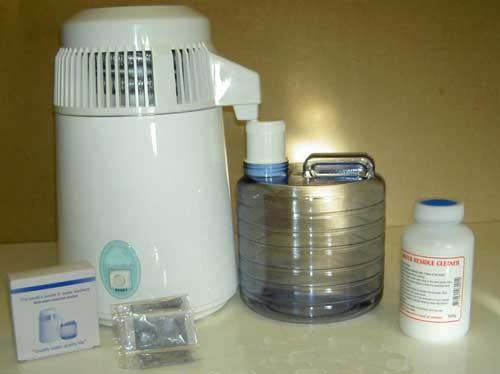 The connector, also functions as the active charcoal filter, fits directly in the collecting vessel for distilled water. 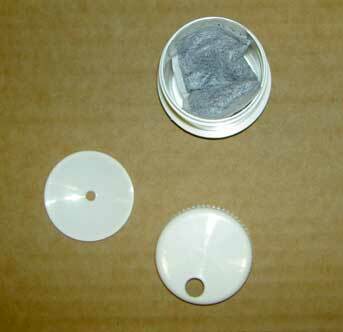 The filter housing can hold a single portion of activated charcoal. 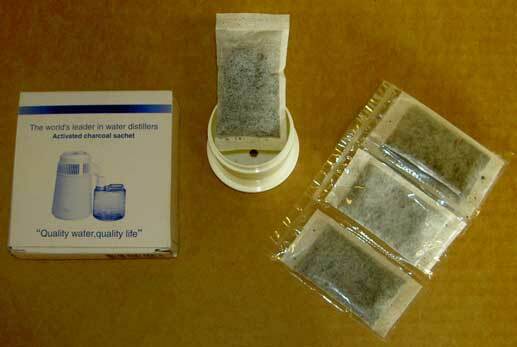 Activated charcoal in one-portion bags is supplied with the water distiller. 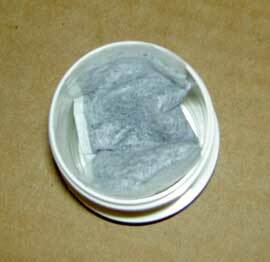 Correct insertion of the activated charcoal. 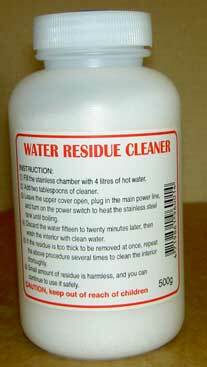 Special cleaning agent that easily removes deposits in the boiling vessel. When one sees these deposits it becomes clear how much of other substances we would otherwise drink. 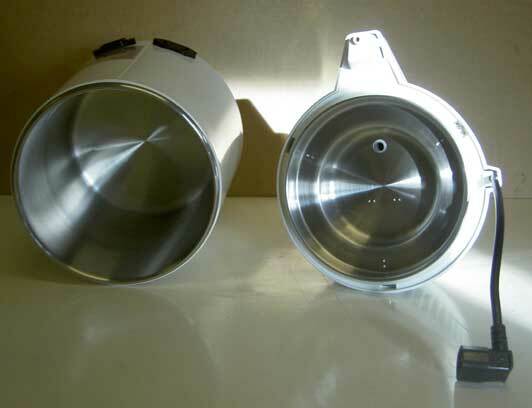 The boiling vessel is made entirely of stainless steel. Everlasting. 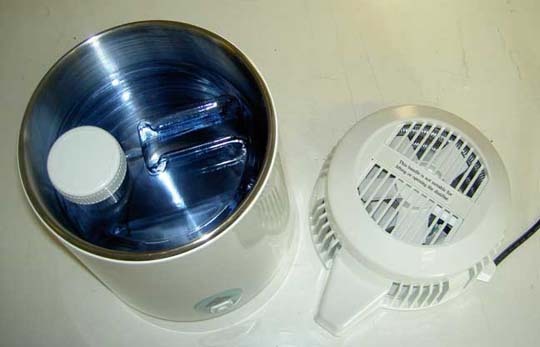 Because the collecting vessel packs neatly inside the boiling vessel the water distiller is easy to take to the boat, summer cottage or when travelling. 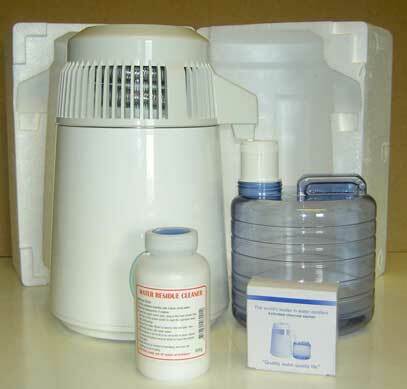 The water distiller is supplied complete. Distillation takes place inside a sealed system. 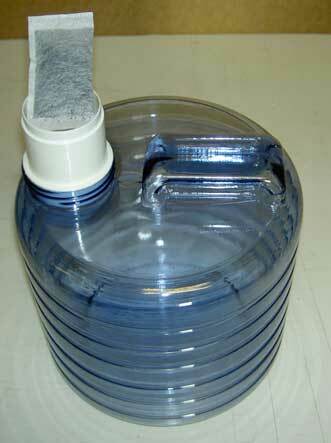 The distilled water goes directly down into the collecting vessel. The water distillation unit is supplied complete. 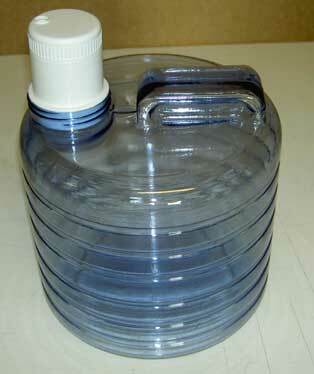 You get everything required for going ahead and distilling your own water. The apparatus is packed in pre-formed expanded polystyrene offering maximum protection during transport. The illustrated instructions are in English. Nothing else is required. Just filling with water and pressing the start button could not be simpler.